All the news you need for everything made or produced in the U.S.A.
Nearly eight months after President Donald J. Trump signed his executive order “Buy American and Hire American,” an expert on certifying whether goods are made in the United States shared with Big League Politics the challenges in certification and enforcing Trump’s intentions. Adam Reiser, the CEO and founder of Certified, Inc., told Big League Politics he is seeing no action in the executive branch to move the president’s executive order forward. According to the president’s directive, all agencies were supposed to have turned into both the Department of Commerce and the Office of Management and Budget how they plan to comply. These plans are to include, searchable databases of certified vendors, storage arrangements for the documents and simplifications of their internal procurement procedures. Reiser said Trump’s executive order was the president’s attempt to bring federal procurement back in synch with the law. The Buy American Act of 1933 was signed by President Herbert Hoover the day before he handed over the White House to President Franklin D. Roosevelt. The Act was championed by Rep. Joseph W. Byrne, (D.-Tenn.), then the chairman of the House Appropriations Committee and later Speaker of the House. Byrne’s idea was that given support by the Hearst newspapers and by Hoover’s Commissioner of Customs Francis F.A. Eble, who would go on to start the Buy American Club. When the president signed Executive Order 13788, the White House was optimistic. A senior administration official speaking on background on Easter Monday, the day before the executive order was signed in the headquarters of the tool company Snap-On in Kenosha, Wisconsin, said the executive order would correct the abuse of the Buy American Act waiver process. The show will also empower viewers with a direct and easy path on where to buy the products profiled. The series will be produced with RealityTVStar.com, which Ratzenberger co-founded. Crowd funding has grown into an extremely successful method to fund creative projects without the bureaucracy of corporate mandates. Ratzenberger’s campaign will give donors a chance to be on the show; join John at a VIP events; receive products profiled, and many more opportunities only available to donors. He has already signed on 30+ American-made companies and industry groups. Those interested in participating in John’s FundAnything campaign can visit http://www.Fundanything.com/americanmade for more details. Individuals can also see these companies/industry groups on the TV series Facebook page at http://www.facebook.com/americanmadewithjohn. RealityTVStar.com is a reality TV production company that uses technology to improve the process of developing, casting and producing reality TV shows. RealityTVStar.com offers fans the ability to upload “slice of life,” casting, and “home” video clips, for the chance to be discovered by the RealityTVStar.com team of producers. In that bygone America, you could buy bell-bottom pants, a color television or a pair of high-platform shoes and very likely find a label on those products saying “Made in the U.S.A.” American companies made big profits, but they invested in the local communities where their products were made. The rich paid their fair share in taxes. Bartlett and Steele pinpoint the moment when this America began to disappear as June 1979. More people were employed at U.S. factory jobs at that time than during any month before or since. About the same time, the share that the wealthiest Americans paid in taxes began to fall sharply. American factory jobs soon started migrating to Mexico, and then to China. Not long afterward, all sorts of other tasks once performed by the guy next door — including your friendly customer service representative — were performed elsewhere, such as Bangalore, India, and Taipei, Taiwan. Since then, three decades of laissez-faire business strategies and government policies have undercut the American middle class and the underpinnings of American democracy. At least, that’s the central argument of “The Betrayal of the American Dream,” a book that’s essential reading for those trying to make sense of our country’s current malaise. Since the 1980s, a host of politicos, both Republican and Democrat, have sold their business-friendly reforms to the American people in the name of economic efficiency: Corporate America saves, and we all save! But the real winner, Bartlett and Steele argue, is the American “ruling class.” Among other things, the economic elite have quietly, methodically and ruthlessly restructured the tax code on behalf of the wealthiest Americans, the authors say. Tax cuts on unearned income and carried interest allow the richest of the rich to pay less income tax with each passing year. “America’s founders, who were very well aware of how the aristocracy rigged the system to guarantee its own perpetuation, up to and including the king, would shudder,” Bartlett and Steele observe. With the American middle class under assault, the United States now is increasingly divided between rich and poor. In “The Betrayal of the American Dream,” the U.S. ruling class is portrayed as eating the American middle class for lunch and giving the leftovers to the impoverished, incipient middle classes in China and India. A123 Systems, a maker of advanced batteries for electric vehicles, has been struggling financially of late. However, it may soon be rescued. Unfortunately, the bailout could come from a Chinese auto-parts company. Wanxiang Group Corp., one of China’s biggest auto parts makers, has offered a $450 million bid for A123 Systems Inc. If a Chinese firm were to buy A123, it would put the firm’s lithium-ion technology and its U.S.-funded manufacturing plant, in the hands of a company that has been slowly acquiring U.S. auto parts firms throughout the Midwest. China’s auto parts industry already enjoys massive subsidies that give Chinese firms a leg up on their U.S. competition. According to a study conducted for the Economic Policy Institute (EPI) by Usha C.V. Haley, government subsidies to the Chinese auto-parts industry have reached $27.5 billion. Haley says that China’s central government has committed to disbursing an additional $10.9 billion in subsidies for industrial restructuring and technological development of the industry. U.S. firms like A123 face the double whammy of subsidized competition from China, and then the potential for buyout by the same competitors. According to David Vieau, A123’s chief executive, the firm would seek approval from the Committee on Foreign Investment in the U.S. (CFIUS) in order to move forward on the sale to Wanxiang. However, the deal already faces concerns from Rep. Cliff Stearns (R-FL), who chairs the House Energy and Commerce Committee’s panel on oversight and investigations, and is worried about the deal’s transfer of intellectual property. A company that two years ago was one of the most promising U.S. innovators in the clean-fuel auto industry was rescued from collapse Wednesday. Its buyer: A Chinese auto-parts company. Wanxiang Group Corp., one of China’s biggest parts makers, offered a $450 million lifeline to A123 Systems Inc., a maker of advanced batteries for electric vehicles that received U.S.-government backing. The deal would put the firm’s lithium-ion technology and its U.S.-funded manufacturing plant into the hands of a company that has slowly acquired a passel of auto assets across the Midwest. It will take millions of people to defeat billions of dollars. Join us at http://www.unpac.org! Super PACs and special interests have turned our politicians into money junkies only out for their next fix. We have to fight back before this becomes the new normal in American politics. The game is to underprice your product until your competitors go out of business (like Solyndra & other solar companies). Then you own the market. This is about a lot more than just jobs. Our government is finally doing something about leveling the playing field! This week, in separate actions, our Commerce Department imposed “anti-dumping” tariffs on wind turbine towers and washing machines. 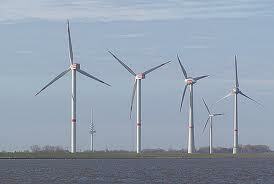 The wind turbine towers were coming in from China and Vietnam, the washing machines from Mexico and South Korea. Dumping is when a product is sold for less than it costs to evenmake the product. The idea is that your competitors will go out of business and the manufacturing ecosystem of suppliers, knowledge and infrastructure moves to you, so you’ll come out ahead in the long run. It takes enormous investment to open up a manufacturing operation because you need the proper facilities, the right local utilities, the tools and machines, the skilled workforce, the suppliers, the local infrastructure, the channels to markets, and all the rest of the ecosystem that supports manufacturing. When that is lost to another country it is very, very difficult to get it back. Especially in a country with a Congress that refuses to understand the need for a national industrial policy. This is the game that countries like China have been playing with their national industrial policies designed to capture strategic industries like solar and wind energy. By selling lower than cost for several years you gain market share and shed competitors. The suppliers, knowledge base, and jobs move their way. Eventually they build or strengthen an entire ecosystem and it is just too costly for others to try to compete. At first it is attractive to take advantage of the lower prices, later the jobs, factories, companies and entire industries are gone along with the jobs and economic power they bring. Or, in other words, look around at what has happened to us. In an unprecedented move, in June 2011 the U.S. Treasury Department granted the Chinese government direct-bidder status to purchase U.S. Treasuries direct from the U.S. government,reports Reuters. All other central banks must purchase U.S. Treasuries through primary dealers on Wall Street, which then place bids on their behalf at Treasury auctions. The People’s Bank of China holds roughly $1.2 trillion in U.S. debt, more than any other entity, and it is now the first foreign government with direct computer access to the U.S. government Treasury auction process. China, however, must sell U.S. Treasuries on the open market. “It’s a big deal because the Chinese are getting very special treatment,” says Gordon Chang, Forbes columnist and author of the Coming Collapse of China, in an email to The Daily Ticker. This special treatment does have the potential to save the Chinese government money, but not in transaction and commission costs because primary dealers are prohibited from charging its bidding customers fees. However, China could getting a better deal by keeping its purchases from Wall Street secret. WASHINGTON — President Barack Obama signed bipartisan jobs legislation Thursday that will help small businesses and make it easier for startups to raise capital. Some Democrats, however, raised concerns that the so-called JOBS Act, or Jumpstart Our Business Start-ups, softened investment protections enacted after the dot.com excesses and Wall Street meltdowns and the changes could lead to fraud and abuse. Speaking to an invited audience that included entrepreneurs — including South Floridians Albert Santalo, founder, president and CEO of CareCloud; and Zalmi Duchman, founder and CEO of The Fresh Diet — Obama indicated that he’s aware of those concerns and has directed top officials to “keep a close eye” on how it goes into effect. Antonio Scorza/AFP/Getty Images Oranges for sale at a market in Rio de Janeiro. If you happen to notice sometime later this year that you’re suddenly paying a lot more for orange juice, you can blame America’s food safety authorities. The U.S. Food and Drug Administration, after several weeks of deliberation, has blocked imports of frozen, concentrated orange juice from Brazil, probably for the next 18 months or so, even though the agency says the juice is perfectly safe. The FDA’s explanation is that its hands are legally tied. Its tests show that practically all concentrated juice from Brazil currently contains traces of the fungicide carbendazim, first detected in December by Coca-Cola, maker of Minute Maid juices. The amounts are small — so small that the U.S. Environmental Protection Agency says no consumers should be concerned. Howard Wial is a fellow for the Brookings Institution Metropolitan Policy Program. At first glance, manufacturing jobs would appear to be a dying breed. The United States lost 6 million manufacturing jobs between early 2001 and late 2009. And despite small gains during the last two years, the trend in manufacturing employment for the last 30 years has been downward. That has led some to argue that long-term job loss in the industry is inevitable. But our research shows otherwise. 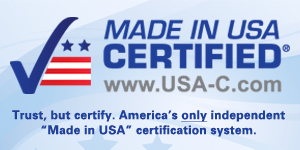 Enter your email address to subscribe to Made in USA News and receive notifications of new posts by email.